My Passport Ultra Portable Hard Drive Black is the trusted, portable storage that perfectly complements your on-the-go lifestyle. Designed to fit in the palm of your hand, there's plenty of space to store a massive amount of photos, videos, music and documents. 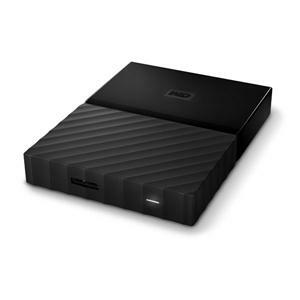 Perfectly paired with WD Backup, software and password protection, the My Passport drive helps keep your files safe.